Looking to save some extra cash at Giant Vapes? Then you’re at the right place! With our Giant Vapes Coupon, you can get FREE shipping with no minimum required plus a discount that works across the entire site! Don’t miss your chance to grab some vape gear or juice at super low prices! Best of all, no matter how much you spend, your order will quality for free shipping! Save 10% off at Giant Vapes plus get FREE shipping! 1. Reveal coupon code above and save for later. 2. Visit Giant Vapes website. 3. As always, we recommend to create an account with the online shop. This allows you to save multiple shipping and billing addresses alongside track any order you have placed. In addition, this allows you to checkout and place your order much faster than without having an account and you can earn rewards! 4. Once you’ve logged in or created an account with them, shop from various products and tons of different premium e-liquid brands. On the homepage, there’s always a scrolling bar with other deals that are currently active, so be sure to check those out for extra savings on select hardware or e-liquid. 5. Tip - You can easily browse the type of flavor or brand you’re looking for right on the homepage. On the right side of the page, you’ll see "I’m Looking For:", simply choose from the options in the drop down menu and click on "Go" to filter and see your results! 6. Now that you’ve added everything in your cart, visit your cart by clicking on "View Cart" which can be found on the top right of any page on their website. 7. We do recommend to check everything in your cart to make sure you have what you want, especially nicotine strengths, colors or any other option that may be available. 8. Once you’re done with checking your cart, on that same page in the lower right side, you will see "Coupon Code". Click on "Add Coupon" and paste the code from earlier. After, click on "Apply" and you’ll see the discount appear in your cart with your new total! This company was founded back in September 2013 and was created by vapers, for vapers. As we all know, this industry is always evolving and is continuously growing, and Giant Vapes is doing the same by expanding their lineup of products to best serve the needs of all vapers, no matter if they’re a beginner or expert. They always strive to provide additional savings to their customers by running weekly promotions, sales and offering the minimum retail price on products. In addition, they’re known for having some of the quickest shipping and they ensure to have the best possible products available with the highest quality ingredients used. It’s easy to see why Giant Vapes is loved by many vapers, their solid customer service, excellent selection and lightning fast shipping makes vapers want to come back regularly for all their vaping needs. It is true Giant Vapes has a wide selection of premium e-juice and hardware, but there are select e-juice lines and hardware that we favor over others for multiple reasons. Here are our favorite products from GiantVapes. The first is the Boosted e-juice line. This is certainly one of the most popular brands of vape juice available today and has been for quite some time. Our favorites from this line are Boosted, Wastegate and Betty Boo. All three of these are dessert flavors and easily an all day vape for us. Best of all these flavors are available in multiple nicotine strengths, up to 12mg for select flavors! If you’re looking for a solid and well known premium vape juice brand, then definitely check out Boosted E-Juice. All of their flavors are rated highly, and this line has been one of our favorites for years! You won’t be disappointed with this line of e-liquid, that’s for sure. The next one is the Suorin Drop Ultra Portable System. This is a great pod system that’s easy to use and provides some solid flavor. It’s incredibly small, so it’s easy to take with you when you’re out and about, and it charges in under 1 hour to full battery. What’s great about this pod kit is that it features a draw activated firing system, which allows you to simply take a vape without needing to press any buttons. This is essential to the beginner as there’s no confusion on how to operate it and it makes for an easy switch from smoking! This is easily one of our personal favorites and we’re sure any vaper, new or experienced, will appreciate its quality and ease of use. 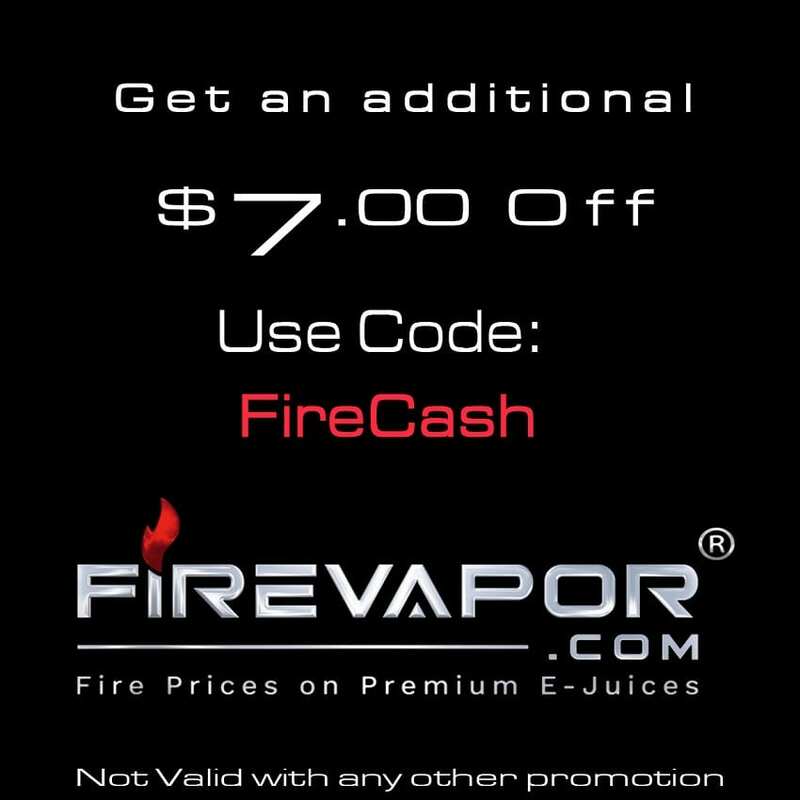 If you haven’t found what you needed at Giant Vapes or simply looking for other coupon codes for other brands or online shops, then these few might be of interest to you. If you’re looking for even more e-liquid brands to shop from, then Breazy is the online shop you want to visit. They carry over a thousand different brands, so they’re also another large online retailer when it comes to vape juice. In addition, they have a wide selection of vape gear including some of the best squonk mods, RTAs, RDAs and more! Our exclusive discount will save you 10% off anything there! Now, if you’re searching for a larger hardware selection, then VaporDNA is worth giving a look. Just like the others, they’re another large online vape shop that continuously stocks the latest and greatest when it comes to e-liquid and vape hardware. Our code there will save you 10% off your entire order plus you get free 2 day shipping when you spend over $59! Last, but not least is Lightning Vapes. They have an amazing selection when it comes to accessories and one of our go to shops when it comes to wire, batteries or cotton. They even have various exotic wire available including Aliens and Fused Claptons. Our code over there will save you 15% off sitewide! Does The Giant Vapes Coupons Work On Everything? Yes, the provided code will save you 10% off your purchase plus free shipping! If we add any other coupon, then we will update this page and add if there are any restrictions to it. Are There More Giant Vapes Coupon Codes Available? As of right now, this is the only available coupon that’s currently available for them. Be sure to visit back often to check when new codes are added! Yes, they do offer free shipping on US orders with no minimum required! Yes, Giant Vapes ships internationally. You can check which countries they ship to during the checkout process. Yes! Once you create an account, you’re part of the Giants Club (which is their rewards program). No additional steps are required and you’ll earn points every time you make a purchase. What Can I Get With My Rewards? With their rewards program, you can redeem points as store credit.